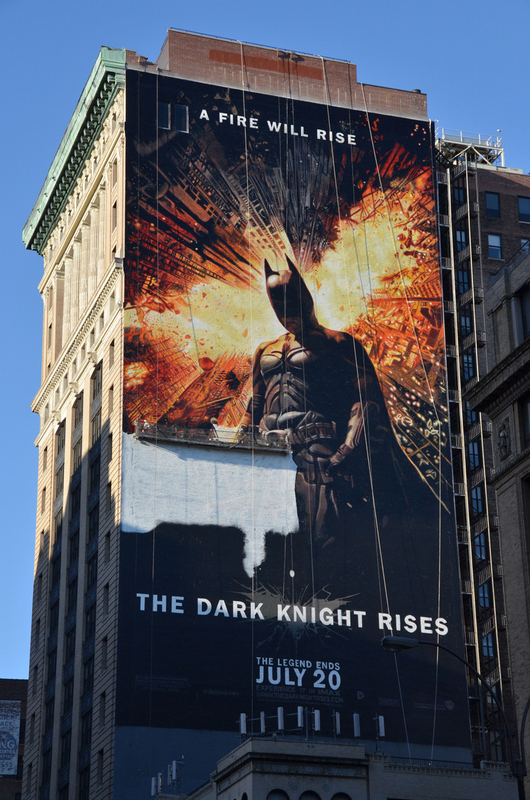 Inspired by the giant Dark Knight Rises painting/mural on the side of a New York building, here is a post with a few more impressive works. These first images show off the vast poster recreation as well as all those tins of paint which look really pretty there with all the colours. 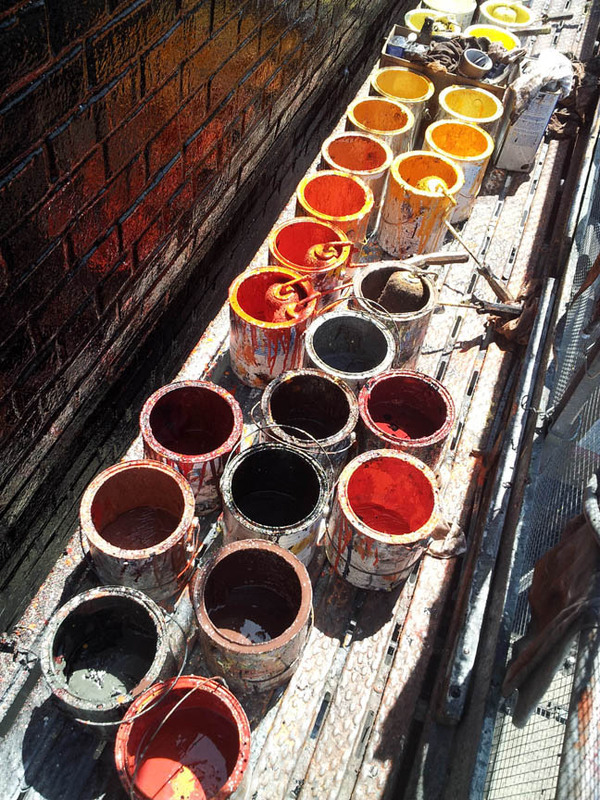 The images are from Irene Gallo’s post where you can find more of piece coming together. 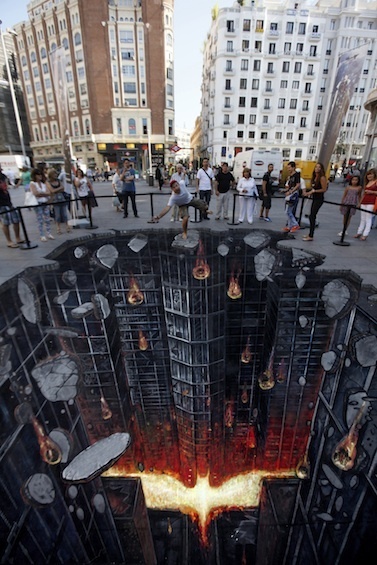 Continuing the Dark Knight Rises theme, here is a piece of 3D street art promoting the release of the film in Spain. 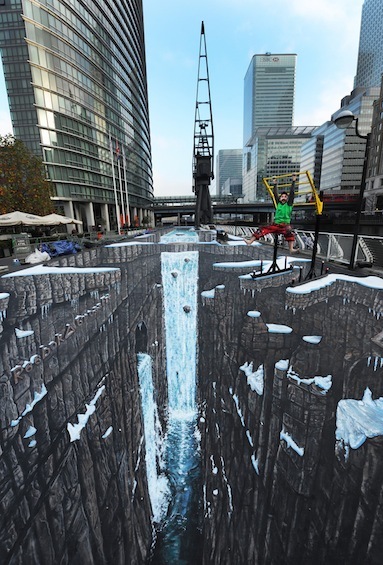 This is the work of the masters 3D Joe & Max who also created the vast waterfall valley for Reebok and scores of others. 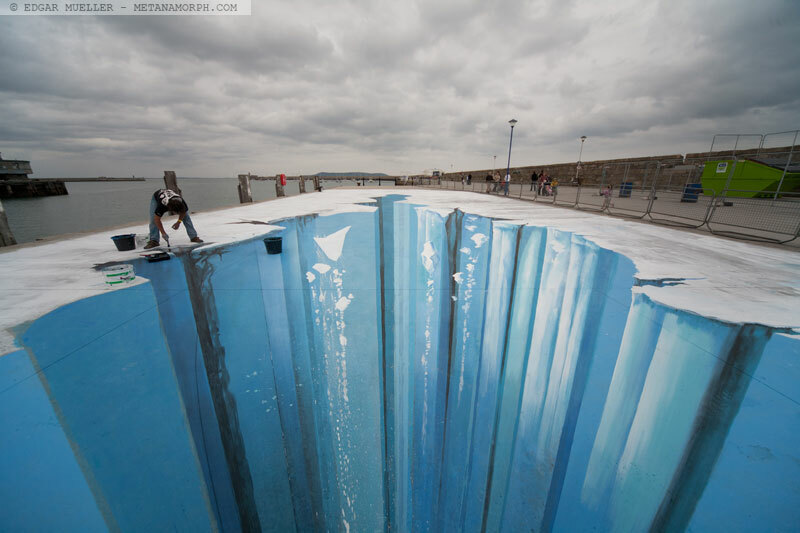 Now some more of those incredible 3D pavement art, bringing these simple optical illusions to our scale. A few amazing pieces from Edgar Mueller (metanamorph) where he has transformed some large areas into chasms and crumbling caverns. While we are here you should check the Monumental Murals of John Pugh who works on the side of building or spaces to create the illusion of 3D space beyond. 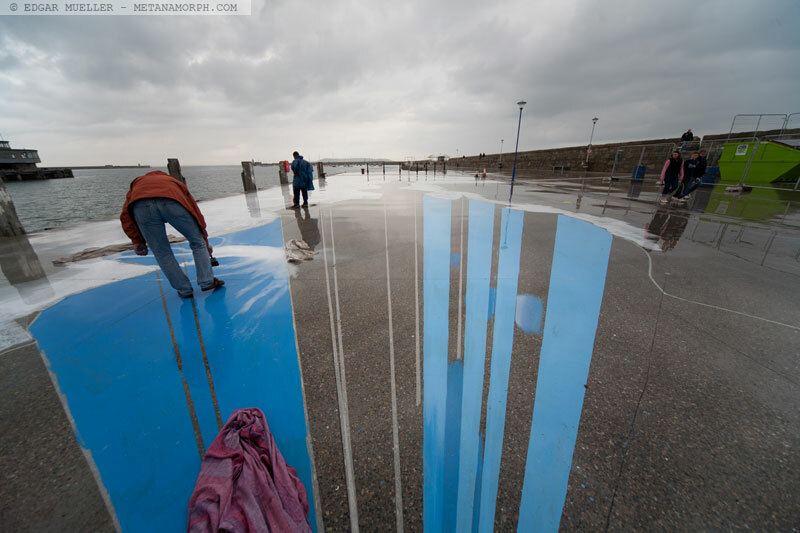 In the photos it looks convincing, the quality is very high and the effect would be great to see.